The Civil and Environmental Engineering department at FIU is home to a world-class faculty and three pioneering research centers. Our graduates are working around the world in high-level positions in academia, private consulting and professional practice. To view a presentation about the department, click here. To view a Brochure about the department, click here. 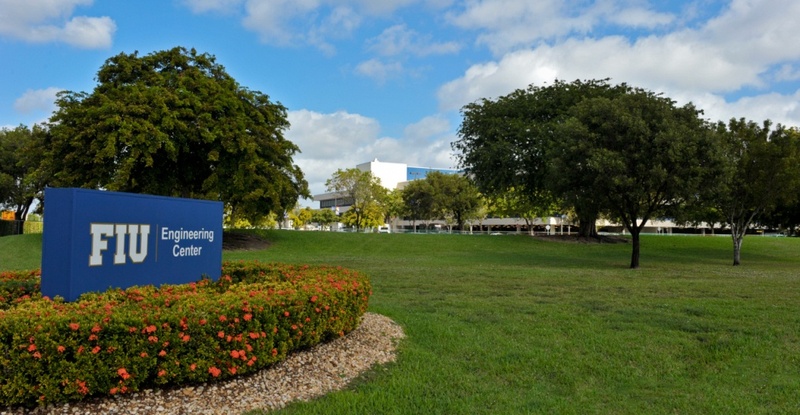 Read on to find out about some of the unique reasons to choose FIU CEE. The department provides undergraduate civil engineering students with a broad education in all six disciplines of structural, transportation, water resources, geotechnical and construction engineering so that they can gain exposure to the entire scope of the field of civil engineering. Graduate students go on to specialize in the focus areas of their choosing. Seniors with a 3.3 GPA are eligible to begin working toward an MS in FIU CEE prior to finishing their undergraduate degrees. Accepted, enrolled students can apply up to nine credit hours of graduate courses toward both the BS and MS degrees. Full-time graduate students can complete an MS in just one calendar year by taking advantage of our 30-credit hour “all-course” option in either Civil or Environmental programs. Miami, Florida is the “Gateway to the Americas” and one of the most globally engaged cities in the U.S. Enjoy the many cultural offerings and business opportunities available at a thriving urban university.